Last week yet another federal lawsuit was filed against Corrupt Sheriff Bill Elder. The Colorado Springs Independent published an article this morning that has a link to the complaint. We cannot count all the complaints filed against Corrupt Sheriff Bill Elder. It’s our understanding that during Maketa’s 12 years as sheriff there were only 2, maybe 3. Elder is close to an even dozen already. Plus the county commissioners have handed out over a million dollars in payouts since Elder took office. How many more millions will be paid out before he leaves office? We would recommend everyone read the complaint by Sgt Duda. The complaint exposes Elder’s lies. 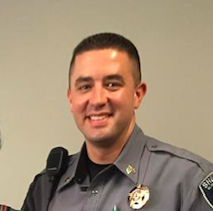 Last year we broke the story about the allegations against Lt. Huffor for sexual harassment. Because of our story, EPSO was asked by the media to release a video that shows the sexual harassment. Corrupt Sheriff Elder refused to release the video but held to his story that there was no sexual harassment. If there is nothing on the video why wouldn’t Elder release it? We then obtained the letter of counseling that Huffor received for the event that never happened. Now that there is a lawsuit against Corrupt Sheriff Elder that references the sexual harassment by Lt. Huffor; will Elder have to release the video as part of discovery? We hope so. How ironic that during Elder’s campaign for Sheriff he talked about “Character Counts”. When you read the complaint you will see that Sgt. Duda was just doing his job reporting inappropriate behavior and he is retaliated against and ultimately fired. The problem is Sgt. Duda exposed inappropriate behavior by Elder’s buddy, Billy Huffor. Big Mistake. Then Sgt. Duda made a bigger mistake. He publicly supported Mike Angley for Sheriff. While Corrupt Sheriff Elder is doing all kinds of campaigning during business hours he fires Duda for just exercising his right to “freedom of speech”. In fact, we know Jackie Kirby was caught talking about the Elder re-election multiple times during work hours. Nothing happened to her. Is it just coincidence the three individuals who complained about Sgt. Duda were Elder supporters? Are you surprised that two of the three were promoted within weeks? Corrupt Sheriff Elder has always had a “pay for play” environment. You do something for him and he takes care of you. Hard work does not help you get promoted, just loyalty. Just to show how STUPID Elder is. He dated and signed Duda’s termination letter the day before he was interviewed about the situation. This clearly shows Elder was not interested in getting to the truth; he just wanted to fire Duda. He also distributed an expectations memo to staff that was completely out of line. Read Memo. It’s clear Corrupt Sheriff Elder retaliated against Sgt. Duda. Elder wanted to make Duda an example for everyone else to see. Don’t mess with Sheriff Elder; see what happens to those who do? The problem is everyone is suing him; he probably did not expect that. 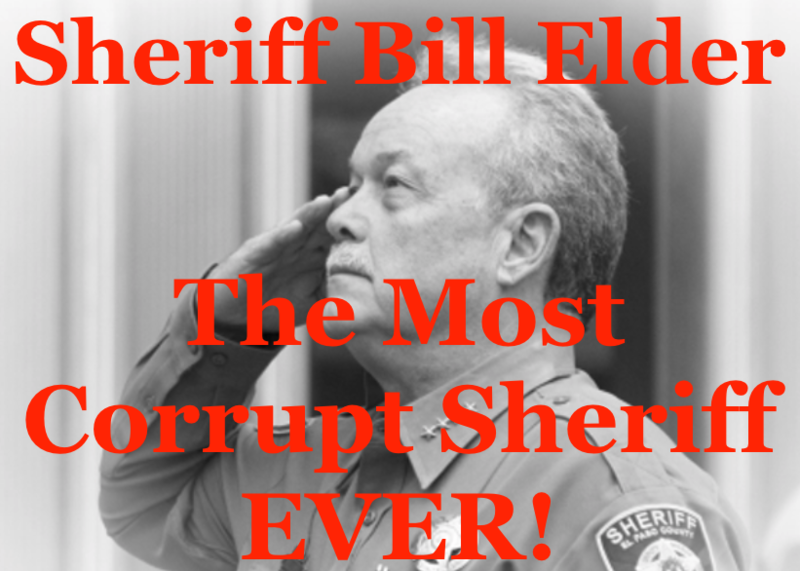 Corrupt Sheriff Elder; he is not only the most hated sheriff ever, he is the most SUED sheriff ever. 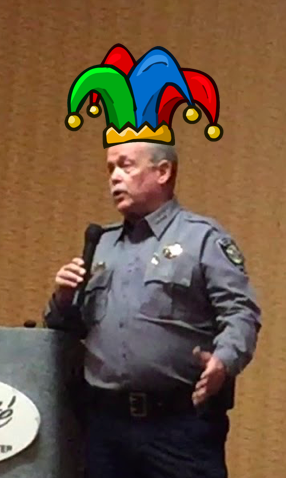 Corrupt Sheriff Elder is showing signs he is mentally unstable. Since he took office he has shown he is corrupt and a liar; but now he is showing signs of paranoia and mental illness. What happens when he snaps? UPDATE: We were told that Elder has “snapped” a couple times in the last few weeks and his verbal abuse is getting worse. Rumor has it he has started acting “erratic” at his command staff meetings. Is his drinking becoming an issue again? Should employees be made aware of when someone they work with is mentally unstable?